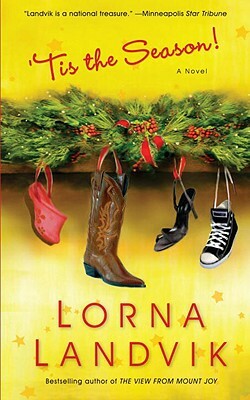 Bestselling author Lorna Landvik shines in this delightful holiday novel of redemption and forgiveness. Heiress Caroline Dixon has managed to alienate nearly everyone with her alcohol-fueled antics, which have also provided near-constant fodder for the poison-pen tabloids and their gossip-hungry readers. But like so many girls-behaving-badly, the twenty-six-year-old socialite gets her comeuppance, followed by a newfound attempt to live a saner existence, or at least one more firmly rooted in the real world. As Caro tentatively begins atoning for past misdeeds, she reaches out to two wonderful people who years ago brought meaning to her life: her former nanny, Astrid Brevald, now living in Norway and Arizona dude ranch owner, Cyril Dale. While Astrid fondly remembers Caro as a special, sweet little girl left in her charge, Cyril recalls how he and his late wife were quite taken with the quick-witted teenager Caro had become when she spent a difficult period in her life at the ranch as her father was dying. In a series of e-mail exchanges, Caro reveals the depth of her pain and the lengths she went to hide it. In turn, Astrid and Cyril share their own stories of challenging times and offer the unconditional support this young woman has never known. The correspondence leads to the promise of a reunion, just in time for Christmas. But the holiday brings unexpected revelations that change the way everyone sees themselves and one another. At once heartfelt and witty, ’Tis the Season bears good tidings of great joy about the human condition–that down and out doesn’t mean over and done, that the things we need most are closer than we know, and that the true measure of one’s worth rests in the boundless depths of the soul.